AMEN|Saint Louis offers a week long, urban mission, experience in the St. Louis area. Youth, adult and intergenerational groups are all welcome to join us. Generally, a group’s stay will be for one week, Sunday through Saturday. 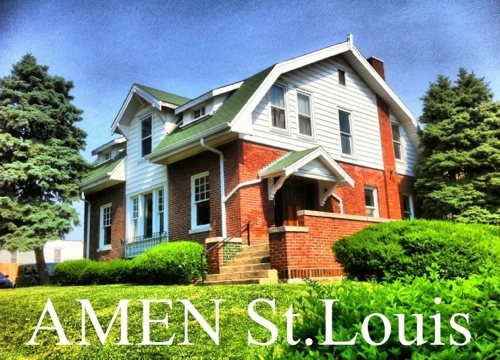 AMEN | Saint Louis will schedule the mission experience and provide a place for the group to stay in our newly renovated home, conveniently attached to Oak Hill Presbyterian Church. The fee for accommodations and arranging the week is $150 per person. The group can bring food or shop locally and prepare their own meals in our fully equipped kitchen. While the group is visiting and serving in our city, they can enjoy an outing to Busch Stadium, 6 Flags or the St. Louis Zoo, or other St. Louis area venue.